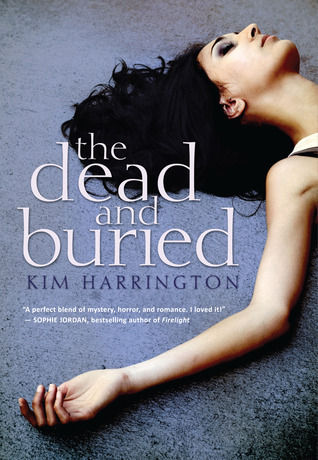 The Dead and Buried was a horrific deadly ghost story that kept me clinging to my dear life each time I turned the page. Jade has just moved into a new house– it’s everything she wanted, a large, expensive looking one, a rich neighbourhood and a posh school. However, something’s up, everyone is giving Jade weird glances, whispers erupt whenever she enters a room. Then the secret is out. Her house is haunted. And everyone seems to be hiding a bigger secret too, something that Jade needs to find out. Immediately, when I started reading this purple galore, I already liked Jade. She’s a little like me, head strong, impulsive and protective of her brother. (In my case sister) A very good choice of personalities for a main character, I’m so glad that Jade wasn’t a shallow, naive teen! And there, at the bottom, was what she had wanted me to find. I closed my eyes tightly, the paper trembling in my hand. I didn’t want it to be this. Anything but this. I reopened my eyes, but the words remained the same. One thing that irritated me at the beginning was that we got introduced to so many people simultaneously that it began to be hard to remember and unnecessary. While it was nice to get a little bit of everyone’s characteristics, some were just irrelevant. MAY CONTAIN TINY SPOILER***However, this does create more complication when I was trying to figure out who the heck was the killer. It broadened the chances of identifying the murderer and kept me second guessing. SPOILER ENDED*** It was so damn suspenseful! I liked the plot line, it was rather simple though. I felt like Kim Harrington could’ve had a twist or unexpected addition to the work, only till the last page, I realised that there wasn’t. *sighs* Great attempt though, something simple but nothing too dark and twisted. Also, not too much romance drama, there is a bit, but not too much that it just dominates the novel. Okay, something I’ve been trying to steer clear of showed up in this book, if you haven’t guessed it already, it is…. *drumroll* insta-love! *throws it angrily* I really really really really…HATE INSTA-LOVE! It is unrealistic, shallow and lacks depth! *takes a deep sigh* WHY?!?! Overall, The Dead and Buried was a entrapping read that I recommend to people who are wusses that want to have a quick taste of spooky stories and ghosts. For the brave, this is a very light read that will keep you second guessing to the end. Deliciously intriguing and otherworldly! Oh wow haha it was a little creepy but I love it when a book really gets under my skin and makes me jump at every creak of my house! It’s true there are a LOT of characters in this one but I did still figure out the culprit pretty easily which made it a lot less exciting. It was still a fun book though. I like to aviod these ghost stories… I may try! Insta-love? Blah, hate it. Lovely book review Mel! Awesome review! It makes me want to read the book (which sounds amazing).